41And Jesus answered and said unto her, Martha, Martha, thou art careful and troubled about many things2But one thing is needful: and Mary hath chosen that good part, which shall not be taken away from her. I’m a Martha. I don’t deny it. 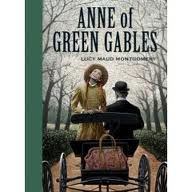 Generally I celebrate the fact because I love being a doer, a take-charge person like Rachel Lynde in the Anne of Green Gables books, a little bossy, somewhat opinionated, but boy am I helpful when heading a church committee, especially concerning food. I do food well. And where would Jesus and his buds be if no one ever did food? This is what I ask myself every year as this passage of Luke comes up. I mean seriously, I can throw a football party at a moment’s notice, decorate an amazing birthday cake at the drop of a hat, plan a wedding or baby shower in short minutes as long as I have phone and computer access. Because, where, I ask you, would Thanksgiving dinner be without the Marthas of the world? Yup, exactly what I thought. No pie. Not a smidge. No apple, no pumpkin, no cherry, no lemon meringue, mincemeat, buttermilk, chocolate chiffon… Nothing. Nada. Because no matter what anyone tells you, pie takes time. You can buy stuffing in a box and have it passable. Not great, but doable. Everything else, as separate entities, isn’t such a big deal. But Thanksgiving pies???? Are ya’ kiddin’ me? That’s the American dream right there, fresh-baked, tender crust studded with fruits and creams, decadence in a bite. Oh, yes, pies make the meal. But every Thanksgiving I have to put Martha on hold. Box her up. And to do that I draw to mind all the people celebrating Thanksgiving in other venues. Soldiers in trenches. Prisoners of war. Prisoners of mind. The homeless, the helpless. Thinking of them, dwelling on their lot, their plight reminds me that while pie is good, pie is not the heart of anything. Not the holiday or the holy day. So when my pastor waxes on about Martha and Mary, I try to remember that pie isn’t the answer to everything. To take my pies less seriously. To calm down, take a breath. Oh, I still bake pies. And I still make a mean Thanksgiving dinner. But I Mary-up my Martha tendencies because it isn’t all about the food, or the pumpkins and straw bales on the porch. It’s about thanking God. Loving God. Giving thanks. If you find it as easy as I do to get caught up in the trappings of celebrations, what steps do you take to re-center yourself? In a land of plenty, it’s easy to become complacent. Why do we forget how to keep things simple? Ruth Logan Herne is a slightly crazed, God-loving, gotta-have-some-fun kind of author. With a husband, six kids and a history of great dysfunctional extended family relationships, Ruth delights in telling stories that tweak heart and soul. Her books can be found at Amazon, Barnes and Noble, and CBD. Good morning, Ruthy. I chuckled at your post because you absolutely are a take-charge kind of girl! And yes, we need those kind of people or the world would stop. 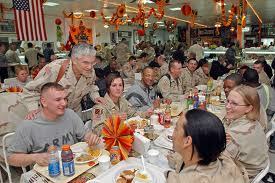 Your comments about serving the military reminded me of my time in the CAF. They always had a big Christmas dinner about a week before Christmas before everyone (or most everyone) went home for the holidays. But this dinner was special because the officers served us, the junior ranks. Dressed in full uniform with their gold stripes on their cuffs (Cdn remember) they brought our plates of food to us, refilled our coffees, etc. So different than standing in line in the mess. I'd forgotten that. So, thank you for reminding me. Bless you Ruthy. You're a special person. This made me smile. I want to be more like you! You got me thinking about pie as therapy. Being still and making a beautiful, home made masterpiece. So what if it's not perfect? I love how my kid's faces light up when they see the process of PIE. Because I lean toward tasks rather than interacting with people, I am always jumping in to volunteer for something. Hey, if you're in the kitchen while everyone else is doing small talk, you're off the hook for being social. And boy am I showing my true colors today, or what? I'n not THAT bad, but I do tend to use busyness as a replacement for focusing on personal-ness. Now that I've met Ruthy in person, I think she can do it all. I mean DO IT ALL! She's the energizer bunny of both Mary and Martha. Thanks for your sweet devo today. I love the reminders of where God would have my focus my attentions. He loves us so much! 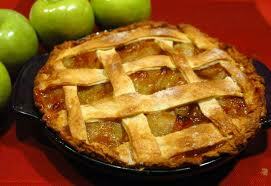 And as much as pie makes people happy, true interest in them--that personal touch--is what will draw them to Him. Have a great new week and a blessed holiday with your families. And, hey, it's a PIE week, too! Hurray! I have two words for you Martha. So I read Tina's comment and thought. ? I read back the comments and couldn't find a Marie listed so thought it was a US 'inside' joke. Hi Amber, thanks for stopping in on a Sunday. It's not the easiest day to sneak in some blog time, so we appreciate it. Joy! Lookie Lookie! Ladies, I got to meet Joy last night. You know how we writers tend to flock to coffee shops with WI FI? Well, lo and behold I met Joy and my fellow NE ACFWer Julia in Panera bread before Ruth's booksigning last night. No such thing as 'by accident' so here we are. Joy has a great blog and I hope you give her a hellooo when you see here around! I always fantasized about getting Chinese one of these big cooking holidays, but that might mean Mutiny! Hey Tina, thanks for checking in from Seekerville. Boy you got that photo up quickly. Ruthy never sleeps, does she? Thanks for visiting and for the timely post, Ruth! I definitely need to take a deep breath and center on God. That said, pumpkin pie doesn't stress me out because 1) I like to eat it and 2) I use premade pie crust and canned pumpkin. No scratch pies for me. Making pie crusts used to drive my mom insane so I never bothered to try. Thanks for the reminder to consider others while we're giving thanks, too. On Thanksgiving, just like every other day, I'll be praying for/thinking of my godson in the Air Force. Hey, Ruthy baby, You're not a MARTHA. The reason Jesus criticized Martha wasn't for the food and the work. He was going to sit right down to that meal. He wanted food, too. The criticism was because her HEART wasn't right. You can cook and clean all day, but do it with a right and loving heart. Oh my stars, where did Sunday go???? Forgot that I'd actually done it. I thought I'd messed up. I LOVED meeting Deb, Joy and Julia at my booksigning, and I fed them REAL food. Real cookies. Lots of cookies, because good cookies are intrinsic to happy health. Oh man, I better work on that one because more than once I find myself looking at the computer thinking: Marie Callendar. Mrs. Smith. Take-out food. Good stuff, all of the above! How many times have I been ahead of myself but when the appointment came along I missed it. Egad. Seriously, this Martha/Mary story is one of the hardest for me to figure out. I guess they should have called for take out, eh?